How important is the energy renovation market in terms of GDP for the EU? What is the turnover and how many SME jobs does it represent? 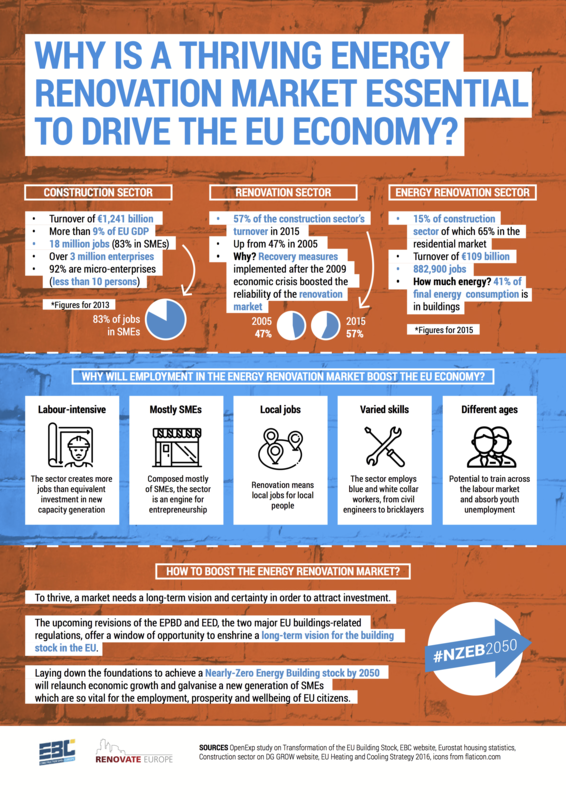 Why will employment in the energy renovation market boost the EU economy? And what is needed to boost the energy renovation market? Find all the answers in this one-pager, produced by Renovate Europe in partnership with EBC.